Recently we heard from a customer who had a great experience with Lie-Nielsen and we asked him to recount his story here. Read below for an incredible tale of turning what could have been a very low moment into a great statement about human kindness and compassion. We applaud Lie Nielsen for upholding the very highest standards of customer service and are proud to work with them. Now, on to the story! 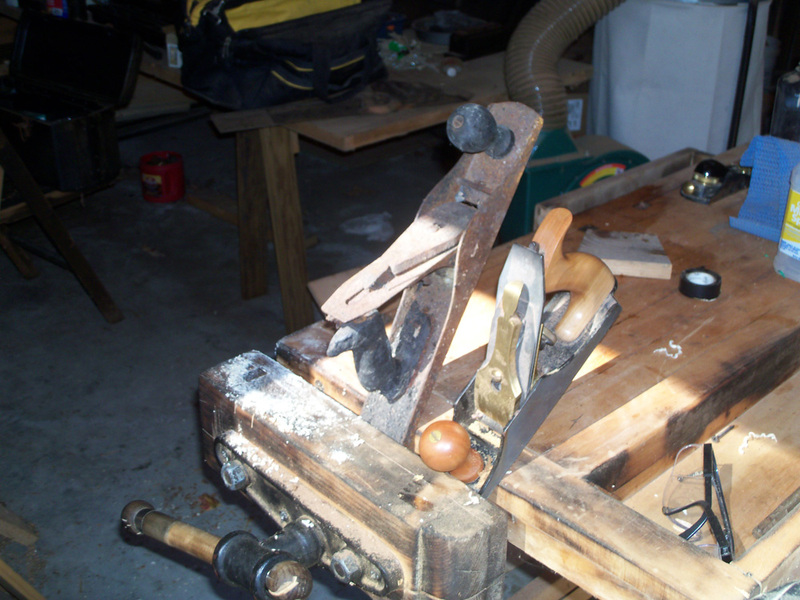 Fire – last thing you want to have happen in a woodworking shop. Some years ago I found myself taking up woodworking as an avocation. Having traveled with work for many years I was unable to do it on a consistent basis. 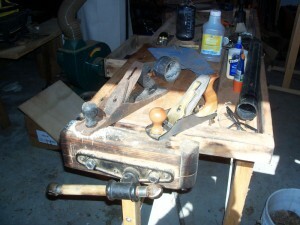 I had some basic carpentry skills and tools from working on my own houses but knew little of woodworking. 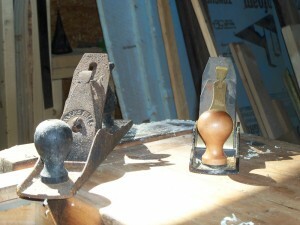 My interest was first sparked by reading a book on restoring and turning hand planes. 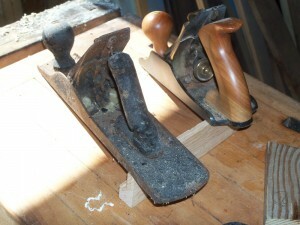 While traveling I was able to acquire several Stanley Bedrock planes and begin to restore them. I had previously lived in the Highland Hardware neighborhood and was aware of their change from a neighborhood hardware store to a place for woodworkers. So, I returned to the neighborhood to take a sharpening course and now was hooked or years to come. 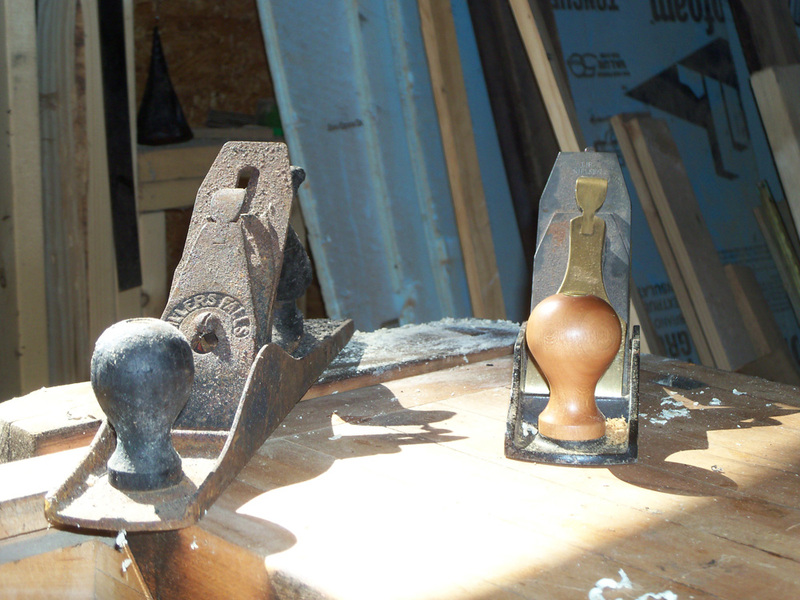 It was on a return trip to Atlanta and Highland Hardware I watched a demonstration on Lie Nielsen hand planes and actually had the opportunity to observe and feel what a well-made and turned hand plane could do. I was hooked and bought my first Lie Nielsen plane – a number 4 smooth plane and then later I received a Jack plane for a birthday gift. Being pleased with the hand planes when it came time to upgrade my dovetail saw I again chose Lie Nielsen and recently received as a gift a Lie Nielsen cross-cut saw. Now back to the fire. My shop is located in the high country of North Carolina was housed in two bays of a detached three car garage. The fire was a result of a brush fire that came up through the woods in the fall of the year. It started at the end of the garage where the wood shop was located. The loss was devastating. After the fire I went through the shop and salvaged what I could and stored the items in a friends building. Most of the major equipment that was exposed directly to the fire was destroyed but a lot of my hand tools that were in wood cabinets survived. Knowing that it would be next spring/summer before I could get it removed and rebuild I deceived to use a space in the house to restore the hand tools. The metal parts were covered with baked on soot and the handles wee heavily scorched and beyond repair. I started with the planes and after I finished cleaning and polishing the metal parts it came time to order the wooden parts. For the Lie Nielsen planes I called the company and spoke to a very courteous and knowledge employee who answered by questions and offered to replace the parts at “No Cost” including the shipping. I was impressed. But this was not the end of the story. Some months later when it came time to work on my dovetail saw I realized I did not have the appropriate screwdriver to remove and replace the handle. I again called Lie Nielsen and spoke to an equally helpful employee and explained my conundrum. She said no need to order the driver but to put the saw in a box and ship it to the company. 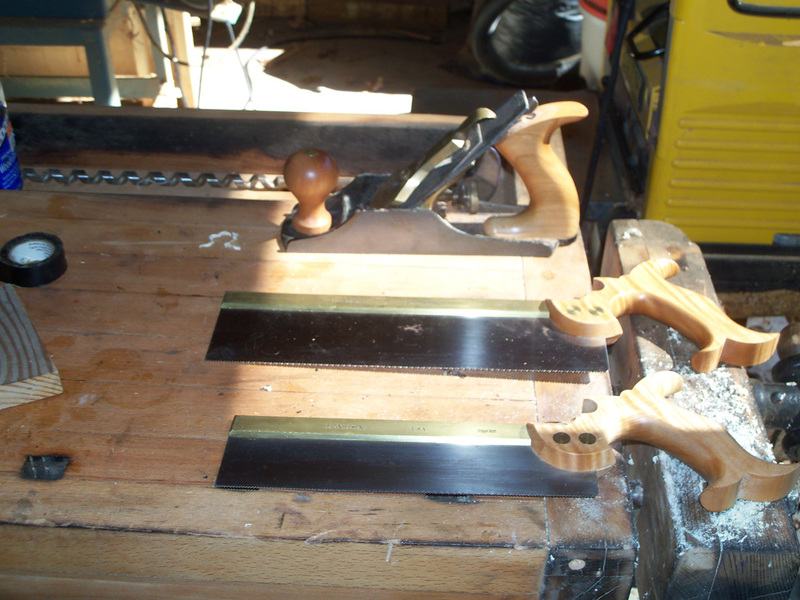 Several weeks later I received a box containing the saw – with a new handle, polished steel and bronze and sharpened. Again at “No Cost” “No Shipping” – unbelievable. All I could do was sit down and write them a thank you. While my dealing with other companies during the process was generally positive they paled in comparison to Lie Nielsen. It was not just a matter of cost but of service that was done with caring and professionalism. Again thanks to Highland Hardware in introducing me to such a fine company and to Lie Nielsen for being a model for excellence in manufacturing and service.